Professional cable tie tensioning and cutting tool suitable for standard nylon ties in the most popular size range of 2.5 - 4.8mm wide. 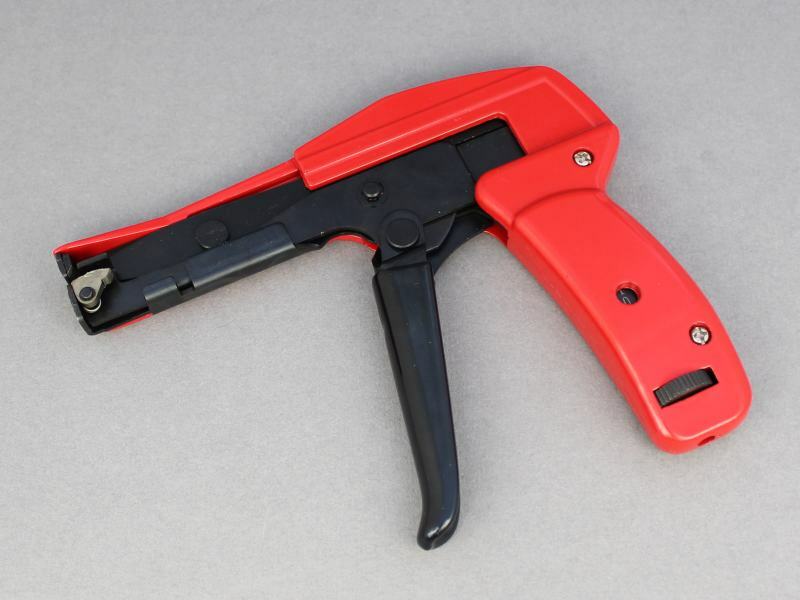 The excess 'tail' of the cable tie is automatically cut once tensioning is complete, leaving a neat finish and eliminating the need for a secondary cutting operation. The robust metal bodied construction ensures that this tool will withstand daily use. Tension can be varied via the thumb wheel on the handle. One of those tools I wished I had seen and bought years ago. Put to good use straightaway, makes the job easy particularly when you have quite a few to do. If you have to do more than a few cable ties, then this tool is for you. The tension is adjustable so you can set all your ties to the perfect, repeatable tension. 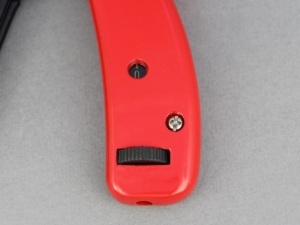 The blade cuts the tie flush so there's no sharp edges waiting to cut your hands next time you're working in the area.